Growing up in a family in exile, Teresa Rivero 87BBA was a fearless kid who never met a stranger. As such, her parents only allowed her to roam their Miami neighborhood of fellow Cuban expatriates. Among families whose names would become well-known—Goizueta, Bacardi and others—she felt at home. To earn extra money, she set about selling almost anything she could put her hands on. "... I was always trying to peddle something." Rivero used to make stilts out of discarded 2x4s. Her efforts as a child continue to pay dividends. Rivero is well known for building valuable relationships among key individuals. By the time she graduated in 1987 from what was then Emory Business School, Rivero was known throughout Emory for connecting with and across diverse groups. To many she was known by “T.” Her leadership skills blossomed first at Oxford, then the Atlanta campus as an undergraduate. She went on to the Rollins School of Public Health when she added a master’s degree. She later entered the MBA program at the now-Goizueta Business School at Emory. Today, as lead senior program officer for the Bill & Melinda Gates Foundation, Rivero is one of the nation’s key influencers in public education reform. Providing equal access to quality education for students of color and low-income students is Gates’ top priority in the United States. The foundation launched a $1.7 billion, five-year public education funding effort. Rivero connects Gates money to innovative efforts that tackle the country’s educational shortcomings. The mission? Raise the national high school graduation rate and help all students, regardless of race or family income, graduate ready for college. "Teresa Rivero wonderfully blends the analytic excellence and quantitative skill of an Emory BBA in finance with the empathetic concern for diverse people emblematic of her Emory MPH degree,” said Associate Professor of Finance Jeff Rosensweig. "We are breaking barriers and building a common ground with partners..."
Authenticity, Rivero will tell you, is rooted in her Emory education. Risk-taking is in Rivero’s blood. Her grandfather, Andres Rivero Aguero, was Cuba’s president-elect when the Fidel Castro-led revolution took hold. Her father, who had attended law school in Cuba, reinvented himself by creating and distributing classroom materials for high school Spanish teachers in the United States. The rest of the family—including Rivero’s mother, who had left behind her own embroidery factory in Cuba with 15 employees—helped make Cruzada Spanish Publications a success. 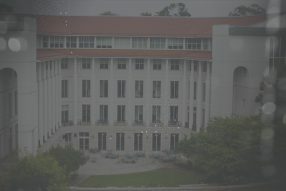 Rivero spent her first two years of college at Emory's Oxford campus. Rivero received a full Pell Grant as a first-generation student. Her first visit to Oxford was the day she moved in as a freshman. "“I realized no one has to be tied down to the past. Even in tough circumstances, you could find the way..."
As a junior on the main Emory campus in Druid Hills, Rivero “had a reputation for being a charismatic, effective leader and a respected free spirit,” said Joe Moon, then the assistant dean of campus life and director of residence life, who hired her as a resident assistant. He watched her rise as one of the most recognized students at Emory, who moved easily between groups and made friends with faculty, administrators and students. “She clearly was brilliant, so capable intellectually, and yet Teresa was always humble and embarrassed by praise or attention,” he said. “In all situations, she focused her extraordinary interpersonal gifts on helping and supporting her friends and hallmates. For Teresa, others’ needs came before her own. To Emory Religion Professor Bobbi Patterson, Rivero stood out as a “creative thinker with a twist toward problem-solving pragmatics.” This skill came in handy as she served on the Honor Council, as the yearbook’s business manager and was selected by her peers as the student speaker for Emory’s Sesquicentennial celebration. Indeed, directing private money to change the world is a long-term mission rooted in interpersonal relationships. "... I learned to listen for the human condition." To help manage its record-setting charitable giving ($41.3 billion through 2016), the Gates Foundation hires practitioners with deep knowledge of the people, places and problems that they seek to serve. After graduating from Emory with her business degree, Rivero started gaining invaluable experience by joining the Peace Corps, where she guided a microlending program for 100 female entrepreneurs in rural Honduras. Many of the women and their families lived in extreme poverty, and their situations were more complex than the inefficiencies she spotted at first. She soon discovered that what they needed most from her was to be present, to spend time hearing their stories and to know what they were up against. Rivero stopped wearing her Swatch and began gaining an understanding of privilege. For example, a $200 cash loan could make a Honduran woman a target for crime. In a nearby village, a public health nurse helped the local people become educated about physical, social and emotional health. To Rivero, public health became a cornerstone for creating profound change in under-resourced communities. Her MPH led to a CDC research grant that introduced her to George W. Brumley Jr., chair of the Emory School of Medicine's Department of Pediatrics and a recipient of the Thomas Jefferson Award for service to the university. Brumley hired her as a community organizer and health educator at a free clinic in the Whitefoord community. She was back to knocking on doors and reaching out to strangers, and eventually connecting to a name she recognized from her childhood. When she moved into management as senior director of programs and development for the Latin American Association in Atlanta, and as a junior officer with the Woodruff Foundation, Rivero became friendly with Olga Goizueta, Roberto’s widow.